Because in DC, CVS stores are so ubiquitous (they acquired the hometown company, People's Drug, in the 1990s, and that was a big company in itself) it's sometimes easy to forget that access to a pharmacy can be difficult in other areas. I remember working a conference in the mid-1990s in St. Louis, and to get various sundries we had to drive many miles to find a CVS. Interestingly, while Chicago among other cities has pharmacy deserts, Walgreens was started in the city and is still based in the Chicago suburbs. But, consolidation and the power of large insurance companies more recently have made it almost impossible for independents to compete, according to Mr. Trumbo and Mr. Spellman. In some cases, the Marshall pharmacy paid more for prescription drugs than it received in payment. In others, insurance companies will pay for only the first three fillings of a prescription, forcing patients to buy from mail-order pharmacies or pay the entire cost at a local store. 2. Linking pharmacies and public markets/grocery stores. I have been thinking about an element of this as it relates to public markets. I argue that the public market model is a way to "deliver" grocery functions to impoverished areas anyway. But in thinking about how to keep DC's public market, Eastern Market, relevant I've been suggesting delivery (well, I've actually advocated that the market consider delivery for going on 11 years...) and how to be more useful and cost effective and to support another local business, the market could do this in conjunction with the nearby independent pharmacy, Capitol Hill Care Pharmacy. But also thinking about how many traditional supermarkets incorporate pharmacy operations also. Note that this particular pharmacy is part of a group of three, including one East of the River, and there are buying groups/programs out there to support independent pharmacies even as the industry is increasingly concentrated. 3. 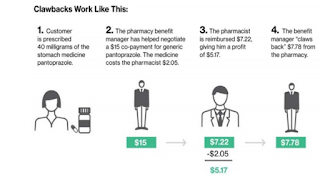 Similarly, cities could work with independent grocers to incentivize adding pharmacy functions ("CVS-Target deal could spur supermarkets to find pharmacy partners," Reuters; "Supermarkets Offer Patients Accessible Pharmacy Services," Pharmacy Times). As it is, grocery stores with pharmacies are already offering clinic functions such as flu shots, workshops on food-related health care management for diabetes, etc. ("Grocery store or Doctor's Office: does it matter where you get your flu shot?," LiveScience). The Greenbelt Co-op Supermarket also has a pharmacy, and that store is a one-off, not part of a smaller group. But typically independent and ethnic groceries don't have pharmacies. While difficult to spur, it would be an opportunity. 4. Why not create a pharmacy recruitment program oriented to supporting independent business. Just as cities have incentive programs to lure supermarkets, the same could be done for pharmacies. 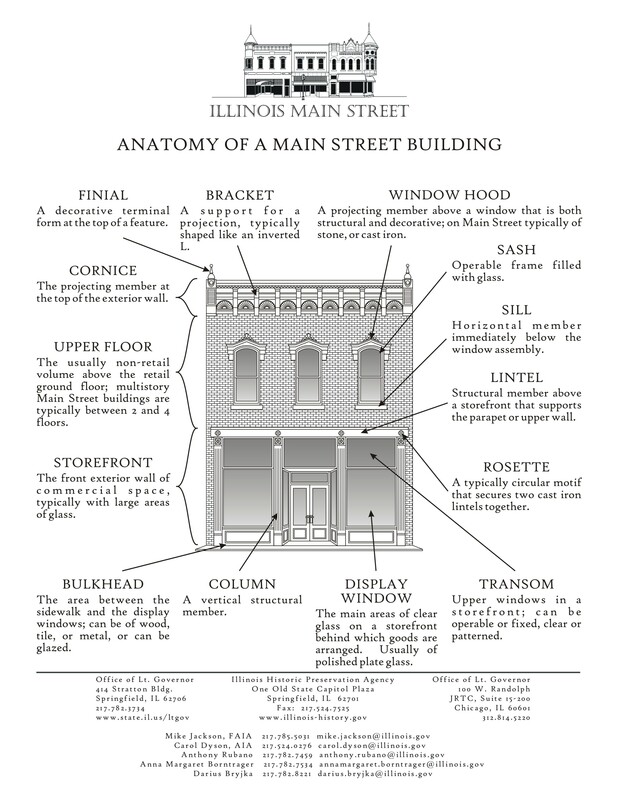 I remember when I got involved in Main Street commercial district revitalization work back in 2001, that at one of the trainings an example of how to recruit a pharmacist/create an independent pharmacy in a town that was under-served was the community mailed letters to every member of the community pharmacy association in that state. Still, we must recognize that independent businesses like pharmacies are especially difficult to keep going generally, let alone in more profit challenging locations in impoverished areas, so such businesses need more and ongoing support than may be normally be offered. 5. But at the same time, laws need to be changed to require pharmacy benefit management programs to utilize the independents in the others otherwise deemed as "pharmacy deserts" and to not stint on the reimbursement, which generally is a problem for independents -- not too that the main two national drug chains, CVS and Walgreens, own PBMs. Such arrangements to support independents should be developed on anti-trust grounds as it relates to PBMs ("Independent Pharmacies File Suit Against Pharmacy Benefit Manager," press release). 6. Incorporating pharmacies into public health/community clinics/hospitals. In terms of broader wellness planning, in impoverished areas without pharmacies, it would be possible to include a pharmacy as part of a community health operation, run by a city or county, a hospital, or a nonprofit. Whitman-Walker. They are making a killing selling drugs. They also should be taxed. no reason why not to tax, as unrelated business income, although maybe in a "pharmacy desert" they could be taxed at a lower rate. ... but I didn't make clear that when I wrote, I was thinking about "co-location," not creating a nonprofit run business enterprise. But it could be either. The thing about it though is management expertise as it relates to nonprofits. The opening of a health center within a supermarket in Ferguson, MO.